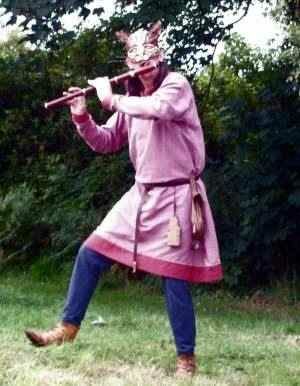 Medieval performers are a highly versatile group of medieval entertainers. Not just musicians but actors, storytellers and jesters too. 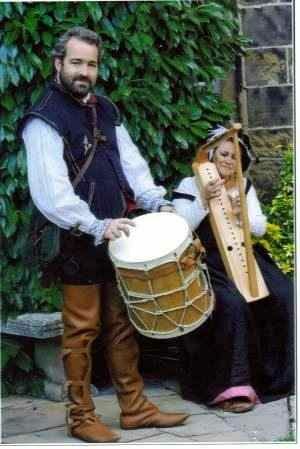 These Medieval performers regularly appear at castles and historic sites around the country, and at a wide variety of private and corporate functions. Their performances can bring the Middle Ages to life, with appropriate Medieval costumes, instruments, music, drama and dance, to provide the perfect backdrop for any historically themed event. 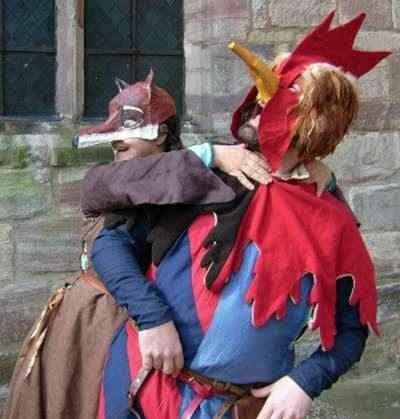 They can provide skilled musicians, riotous jesters, enthralling storytellers, lively dance leaders, and a whole range of Medieval characters including lords, ladies and even gallant knights in armour. 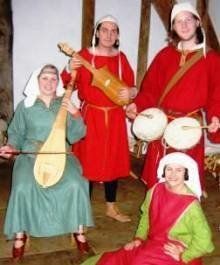 The Medieval shows usually include three or four performers but as you can see, they are a large group. 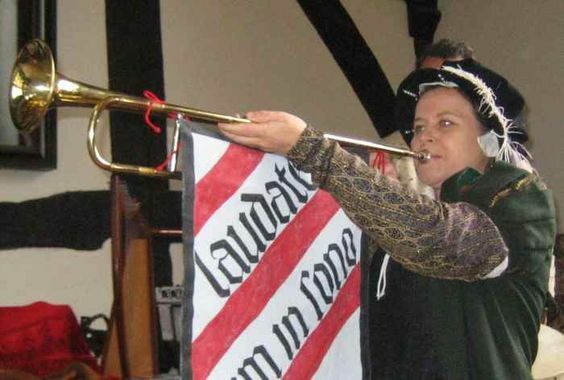 They can put together a band of minstrels to suit your requirement – whether it be a company of actors to present medieval tales or a band of musicians. 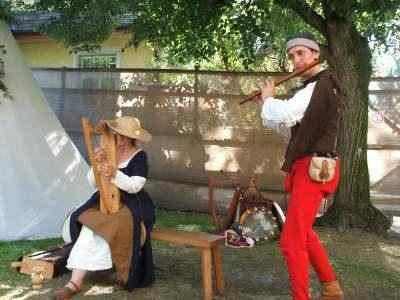 Medieval Performers can provide their Music for a Medieval Feast act. 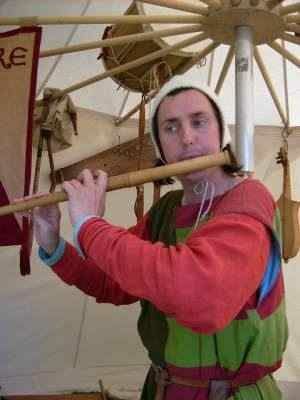 Feasting was an important part of Medieval life – and an occasion when all kinds of entertainment could be enjoyed. 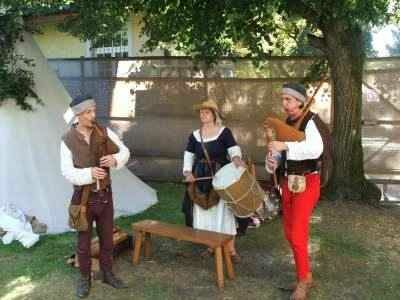 In the 12th century, Chretien de Troyes described a wedding feast as having “plenty of merrymaking in the hall… one minstrel jumps, another tumbles, another does magic; there is story-telling, singing, whistling… they play on the harp, the rote, the fiddle”. 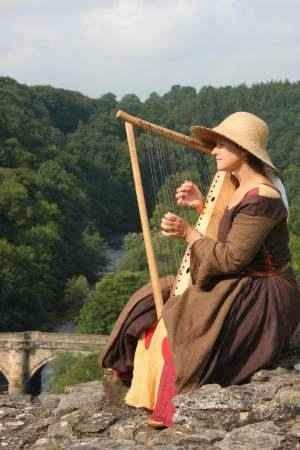 They cant promise you all of that, but can offer a great variety of music from the 12th through to the 16th centuries, performed on an impressive range of authentic Medieval instruments. There’s also story-telling from Chaucer, and the music is interspersed with light-hearted accounts of Medieval life and the do’s and dont’s of feasting etiquette. 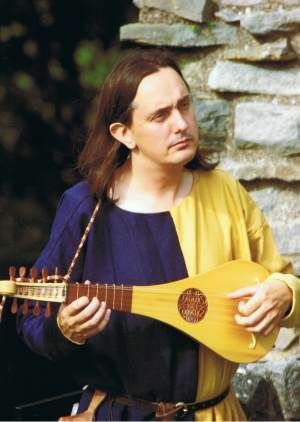 The Medieval Performers and their “Music for a Medieval Feast” is ideal if you are interested in a general introduction to Medieval music. 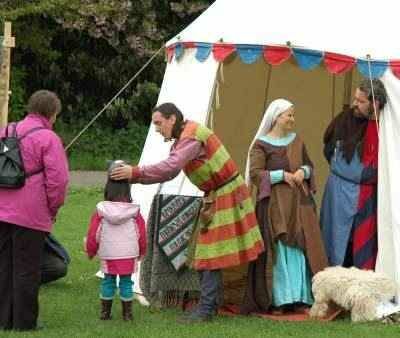 It incorporates a wide variety of instrumental music, some singing, comic tales and banter – and there’s even the option of some Medieval dancing!